This time, Thor and Loki’s sister and goddess of death Hela (Cate Blanchett) is freed from her prison, hell-bent on taking over Asgard. Thor (Chris Hemsworth), enslaved as a gladiator on the planet Sakar, must escape the clutches of the Grandmaster (Jeff Goldblum) in order to save the people of Asgard. The result is Hela fun. 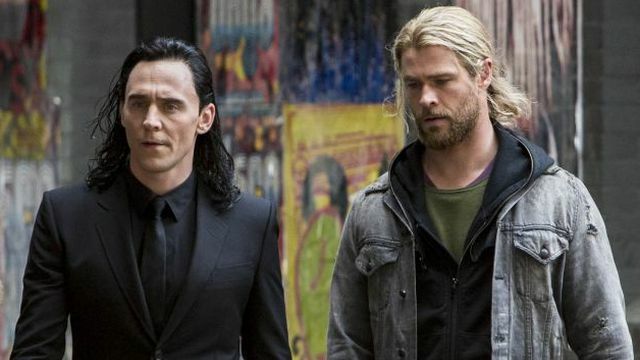 Comedy has always been one of the MCU’s greatest strengths, and Ragnarok brings it to the Thor-ground. It has the gleeful humour and diverse characters of Guardians of the Galaxy, but with the added New Zealand charm and quirky warmth of director Taika Waititi, best known for the wonderful Kiwi comedies What We Do in the Shadows and Hunt for the Wilderpeople. He even voices the character Korg and brings Wilderpeople‘s Rachel House along for this wildly energetic and colourful ride. This is how Marvel stays a hundred steps (and $8bn) ahead of DC; keep getting fresh, talented indie directors to give their meticulously produced projects that spark of personality that separates the Iron Men from the Boy Wonders. Ragnarok has the lightning humour and bonkers visuals of a mega-budget Hellboy film, and that’s exactly what the studio should be doing. It’s quite, quite mad. Chris Hemsworth goes from strength to strength as Thor continues to loosen up, probably due to his spending so much time with Tony Stark. The back-and-forth between him and Mark Ruffalo’s Bruce Banner/Hulk is one of the film’s many joys, along with finally seeing the back of Natalie Portman’s Jane, who is quite literally out of the picture. Perhaps Thor realised it was foolish to fall in love with the first Earth woman he Thor. Sorry, saw. Tom Hiddleston and Cate Blanchett are on typically good form, while the urban market are catered for by the welcome presence of Karl Urban. 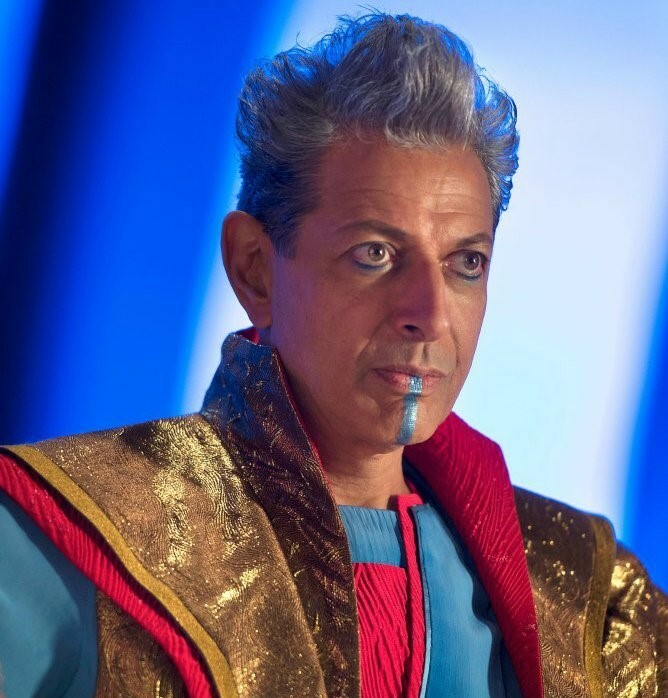 Best of all is Movie Helper and jazz pianist Jeff Goldblum, who’s one of those actors like Christopher Walken who just does whatever he wants and it’s always brilliant. In fact everyone in it is brilliant, apart from Anthony Hopkins, who no longer seems to be playing Odin; rather just Anthony Hopkins near a green screen. On top of that there’s a massive wolf, an 80s-style synth soundtrack and extensive use of Led Zeppelin’s Immigrant Song; such an obvious choice that it clearly belongs in a Thor film, like how Iron Man had Iron Man by Black Sabbath, War Machine could have War Machine by Kiss, Happy could have Happy by Pharrell, and J.A.R.V.I.S could have anything by Pulp. To call Ragnarok the best Thor film would be an understatement of Thor-like proportions. Taika Waititi breathes new life into the often-samey MCU, and creates a dazzling new playground for these Asgardians of the galaxy. Don’t myth it.